136 Dogwood Trail, Manteo, NC.| MLS# 102609 | Outer Banks Homes For Sale, North Carolina Home Search Including Nags Head, Pirates Cove, Manteo, Kill Devil Hills Kitty Hawk, Southern Shores, Duck, and Corolla North Carolina, Oceanfront and Soundfront properties for sale and long term rentals. 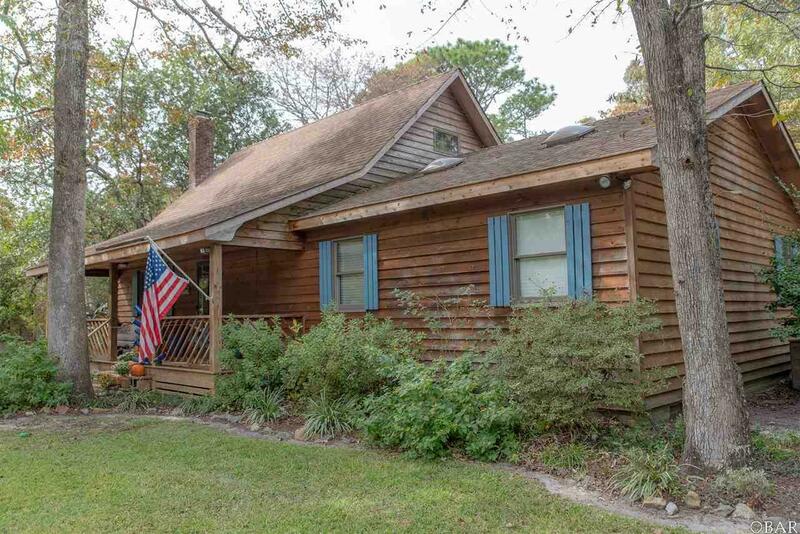 Nestled in a quiet neighborhood on the north end of Roanoke Island this home is ready for you to come and relax. With an open floor plan, a master on the first level and a great loft upstairs this home will meet all of your requirements for ease of maintenance and fantastic outdoor space. The flooring in the living room and kitchen was replaced in 2016 and the house has been freshly painted. The deck off of the kitchen is a great place for grilling and relaxing after a busy day. Speaking of relaxing the en suite master bath has a cast iron tub as well as a shower, his and her closets, high ceilings and a skylight in the bedroom to provide the perfect escape from a busy day. There is another bedroom on the first floor with a full bath as well. The kitchen is wonderfully functional and painted in a neutral palette. Outside you will find a large yard with fig trees as well as a peach tree and a fire pit. The barn out back has ample room for all of your projects. Come and see the neighborhood that always has the best holiday light displays and the most trick or treaters on Halloween! If you are looking for a sense of community you will find it on Dogwood Trail in Manteo.